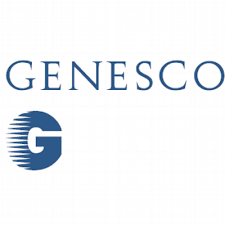 Pivotal Research analyst Mitch Kummetz reiterated a Buy rating on Genesco Inc (GCO) today and set a price target of $52. The company’s shares closed on Friday at $41.76. According to TipRanks.com, Kummetz is a 3-star analyst with an average return of 3.9% and a 57.0% success rate. Kummetz covers the Services sector, focusing on stocks such as Foot Locker Inc, Shoe Carnival, and Tilly’s Inc.
Genesco Inc has an analyst consensus of Moderate Buy, with a price target consensus of $44. Based on Genesco Inc’s latest earnings release for the quarter ending July 31, the company reported a quarterly GAAP net loss of $15K. In comparison, last year the company had a GAAP net loss of $165 million. Genesco, Inc. engages in the retail and sale of footwear, apparel, and accessories. It operates through the following segments: Journeys Group, Schuh Group, Lids Sports Group, Johnston & Murphy Group, and Licensed Brands.